Are you the owner of Eagle's Rest R.V. Park in Valdez Alaska? Did you know that you can convert this page to a complete listing of your services today for nearly nothing? Put your listing in front of visitors planning their trip to Alaska. Add your own coupons, pictures, services and more. Full advertiser packages available. Contact us today, we're your neighbors and friends so don't be shy. 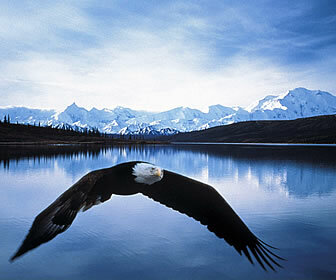 Eagle Bluff Campgrounds is located at 135 West Bunnell Avenue in Haines AK. Eagle Bluff Campground can be contacted by calling 907-767-5532.